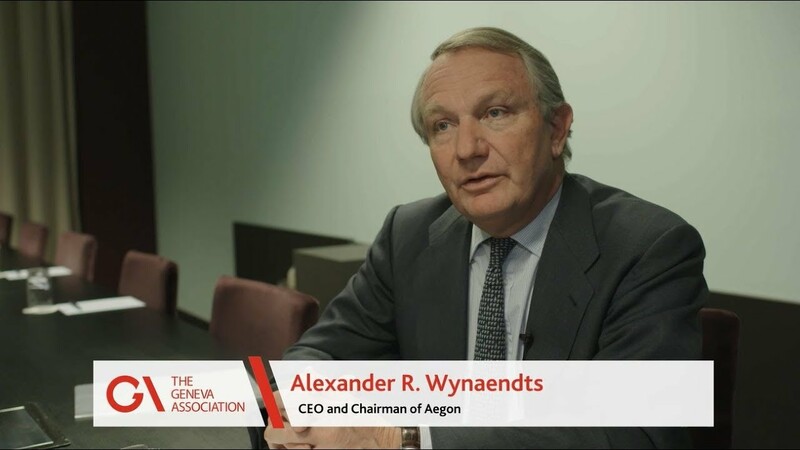 CEO Alex Wynaendts sets out Aegon’s vision for a New Social Contract on retirement during a video interview with the Geneva Association, a leading think tank in the insurance sector. According to Mr. Wynaendts, the new approach is urgently needed because the existing social contract between governments, employers and individuals is under severe strain. In the wake of unprecedented seismic demographic shifts in which people are living longer, governments and employers are increasingly relinquishing their responsibility for individual retirement. Consequentially, individuals are left to fend for themselves. Many face the unexpected and are completely unprepared. To engage with the key stakeholders on the issue of the changing face of retirement, Mr. Wynaendts offers a four-point solution as the New Social Contract on retirement that was developed by the Aegon Center for Longevity and Retirement. First and foremost, people should have universal access to financial products and services that allow them to save for retirement. Financial institutions, community groups and other nonprofit organizations should cooperate to develop long-term saving products and services to encourage saving. These products and services should also cater to vulnerable individuals in the economy such as the self-employed, or those with intermittent employment records due to family responsibilities. Secondly, retiring at a certain age needs to be a thing of the past simply because it is no longer financially viable for individuals or societies. A more flexible approach is required where people can work longer by reducing their hours and/or working in a different capacity. Traditional careers paths where individuals accumulate more and more responsibilities and then suddenly retire no longer mirror the needs of either societies or individuals. Thirdly, the correlation between wealth and health is undeniable. It is essential that people protect and ensure their physical health as much as their financial health. Healthier lifestyles reduce the strain on healthcare systems and allow people to work longer so that they are more financially prepared for retirement. Governments, NGOs, industry, employers, healthcare providers and individuals themselves all have a responsibility in promoting healthier lifestyles. Finally, more needs to be done to promote financial literacy so that individuals have the skills and tools to make sound decisions about their retirement savings and investments. Simply telling the general public is not enough. A sustained and collaborative effort on the part of educational institutions, governments, employers and companies in the private sector such as Aegon is required to educate people about what financial options for retirement are most beneficial to them.